Welcome to McIntyre Dental Clinic! We’re happy you’re here and look forward to assisting you in your oral health goals while crafting a beautiful smile for years to come. 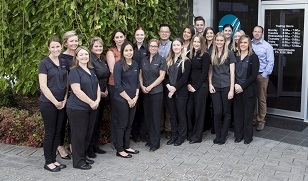 Our team of knowledgeable Adelaide dentists aim to provide you with the best service possible. Learn more about our team below. 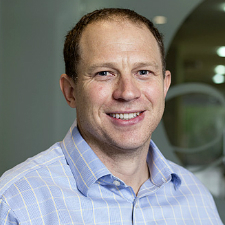 Dr Maxted graduated from the University of Adelaide and achieved a Bachelor of Dental Surgery in 1998 before heading to Mildura to work for a couple of years. He returned to Adelaide and started at McIntyre Dental Clinic in 2000 before purchasing half of the practice in 2003 and working in partnership. In 2004 in partnership he opened Mawson Lakes Dental clinic which he ceased to own in 2008 when he took full ownership of the McIntyre practice. Dr. Maxted enjoys the combination of working with his hands and interacting with patients on a daily basis. Dr Maxted is particularly focused on keeping up to date with the latest technology and techniques in order to deliver the highest quality treatment to his patients. He has a keen interest in implant dentistry, wisdom tooth removal and cosmetic dentistry. He is a member of the Australian Society of Implant Dentistry (ASID) and the Australian Osseointegration Society (AOS) and has completed the 1 year gIDE/Loma Linda University Master Clinician program in implant dentistry in 2013. Outside of the practice, Nick he enjoys tennis, snow skiing and scuba diving. Dr Maxted is a sponsor of Modbury Vista soccer club, Central Districts Football Club and the Para Vista Lutheran Church Cricket Club where he played for many years. Dr Nick Maxted is available to see patients Monday/Tuesday/Thursday/Friday. 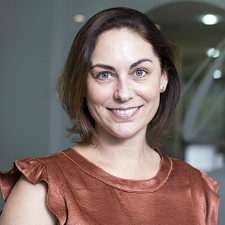 Dr Schofield received her Bachelor of Dental Surgery (BDS) from the University of Adelaide in 2005 and has been working with the McIntyre team for over ten years. As an experienced clinician, she enjoys all aspects of general dentistry and takes particular pleasure in providing her patients with positive dental experiences. Dr Schofield is passionate about continuing education and frequently attends lectures and workshops to keep abreast of the latest developments in dental science. She is also a member of the Australian Dental Association and the Australian Endodontic Society. Outside of the practice Dr Schofield is a busy mother who enjoys cooking, swimming and “playing trains” with her young son. Dr Helen Schofield is available to see patients Monday/Wednesday. 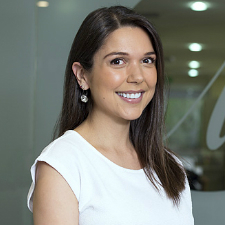 Dr Elizabeth Usher completed her Bachelor of Dental Surgery at the University of Adelaide. Whilst she has been with McIntyre Dental Clinic since 2010, Elizabeth also has experience as a clinical tutor at the University of Adelaide, and in providing volunteer aid at the Angkor Hospital for Children in Siam Reap, Cambodia. 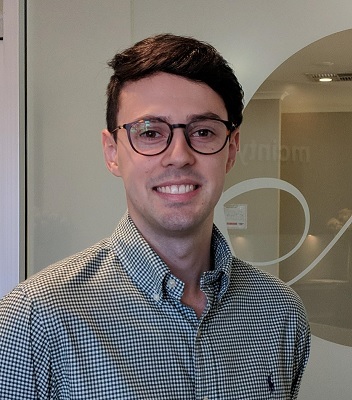 Dr Usher has a particular interest in seeing patients with dental anxiety and phobias, and is experienced in performing treatment under IV sedation and general anaesthetic. She understands how important it is to help her patients feel as comfortable as possible with what may seem like a scary or daunting process. She says that one of the most satisfying aspect of her work is seeing the difference in her patients’ confidence once they feel good about their teeth. Dr Usher is a member of the Australian Dental Association, and in her spare time enjoys running, cooking, and catching up with friends. Dr Elizabeth Usher is currently on maternity leave and will be back April 2019. 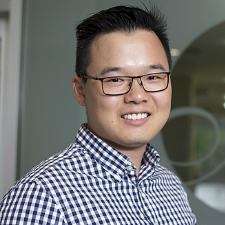 Dr Charlie Kong has been with the McIntyre Dental team since the beginning of 2016. He moved from sunny Brisbane where he completed his Bachelor of Dental Science at the University of Queensland. He enjoys work in all aspects of general and restorative dentistry, with a keen focus on preventative measures to allow patients to protect and keep their teeth. Dr Kong is a current member of the Australian Dental Association and regularly attends their study groups to further improve quality of care provided. He enjoys cycling, hiking and watching movies when he isn’t in the practice. Dr Charlie Kong is available to see patients Monday/Tuesday/Wednesday/Thursday/Friday/Alt. Saturdays. Dr Michael Previn is the newest addition to our lovely team. Born and raised in Adelaide, he received his Bachelor of Dental Surgery (BDS) from the University of Adelaide where he was awarded the Royal Australasian College of Dental Surgeons Prize in his final year of study. He has been working with the McIntyre Dental team ever since graduating. He enjoys all aspects of general dentistry and takes particular time and attention in providing his patients with positive dental experiences. Dr Previn is passionate about continuing education and frequently attends lectures and workshops to keep up to date with the latest developments in dental science. Outside of the practice Dr Previn enjoys playing cricket and catching up with family and friends. Dr Michael Previn is available to see patients Monday/Tuesday/Wednesday/Friday/Alt. Saturdays.